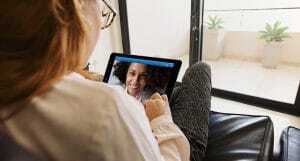 The adoption of telehealth platforms are transforming the traditional methods of care delivery in the healthcare continuum. Telemedicine technology is at center point of stimulating patient-centric care by leveraging advanced clinical facilities at any time and any location to improve quality of care. 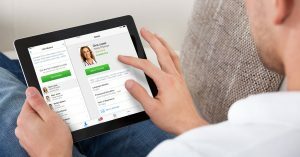 Amidst the mobile technologie and Electronic Health Records (EHR) proliferating in healthcare industry, two-way interactive interactions through telehealth platforms enable clinicians to evaluate, diagnose, and treat patients at remote locations in a viable and cost-effective fashion. Healthcare Tech Outlook recently published their 10 Most Promising Telemedicine Solution Providers of 2016, noting Avizia’s transformational telehealth solutions for optimal patient care. Enterprise telehealth requires certain commitment, governance, and planning. Avizia has helped large health systems, provider networks, and home care agencies, to prepare for successful system-wide telehealth implementations. Avizia’s flexible end-to-end telehealth platform is designed to tackle the most common modalities that healthcare providers are striving to address today–behavioral health, general medicine, and emergency care–in additional to newly emerging telemedicine applications. Avizia’s telemedicine carts and peripherals help connect physicians, specialists and their patients to the point of care from geographically dispersed locations. While facilitating collaboration with the care teams, patients can hold their interactions with doctors or nurses via Avizia’s medical devices from the luxury of their own homes, or even from outskirts of the cities. Further, a telehealth program can only be successful if it can mimic the existing clinical practice. Avizia has designed its workflow software to achieve all levels of optimum care from scheduling patients to delivering care and tracking their recovery. Avizia offers a complete suite of software designed to integrate with an organization’s existing Electronic Health Record (EHR) systems. 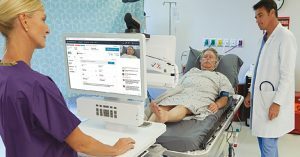 At a glance, Avizia ONE enables more efficient care coordination, communication, and virtual care. Read the complete article on Healthcare Tech Outlook.